We are just entering into the transition phase on the Wheel of the Year from one season towards another. If you are in the northern hemisphere, what do you take with you from winter's wisdom into spring? What do you leave behind? If you are in the southern hemisphere, what do you take with you from summer's joy into autumn? What do you leave behind? The Seed Full Moon in Virgo assists in releasing what no serves you and can align you with the High Priestess/Medicine Woman within, as Virgo is the Divine Feminine and the 'Virgin'. In this Full Moon, we are called again to illuminate Self Sovereignty. The word 'virgin' originally meant "whole unto oneself". What does it mean to be sovereign unto oneself? What does it feel like to be in our full power? At this full moon, we are asked to explore with a mystical lens (Pisces Sun) all the ways in which we give our power away and how we can reclaim it. The moon reflects to us the importance of activating our inner discernment, wisdom and intuition to ground our visions and dreams to earth. This is to embody our Wise Woman/Sage/Priestess. The portal is open for us to reclaim our power by taking responsibility for our actions, thoughts, and spoken words. At this time, we are summoned to the mindset/paradigm of choosing, creating and being accountable. Step forth, dear one, to ask for what you need, express your heart with authenticity and celebrate the power of your emotions, wisdom, value and intuition. Now is the time to create and design your human experience from a grounded place of focused intention, service and beauty woven with mystery, the non-linear and the magical. There is great insight and healing when we pay attention to both our dreams and the signs right in front of us! This is our Moon Medicine. Embrace The Heart: This can be a very intense part of the lunar cycle. Be patient with all the emotions you are feeling at this time. Breathe into them. Give them a safe resting place and a healthy funnel of expression. Be gentle with yourself. Seva: Practice selfless service by doing something for someone else (maybe even a stranger) that would brighten their day. Express Yourself: Whether through voice or movement, sing, speak and move from a place of your authentic heart to engage with the current expression of your own body & soul. Gratitude: Now is a beautiful time to reach out and share with others what you are most grateful for about them. Gratitude can also be expressed to oneself and to the Great Mystery with reverence for all our blessings at this time. Intentional Design: Take the reins of your schedule and create some order. Design or arrange your home space to represent your essence. Moon Prayers: With the full moon light, write down or speak your prayers for yourself, loved ones and the planet. The full radiant moon amplifies your word. Moon Priestess: Make time for quiet and stillness as the moon rises. 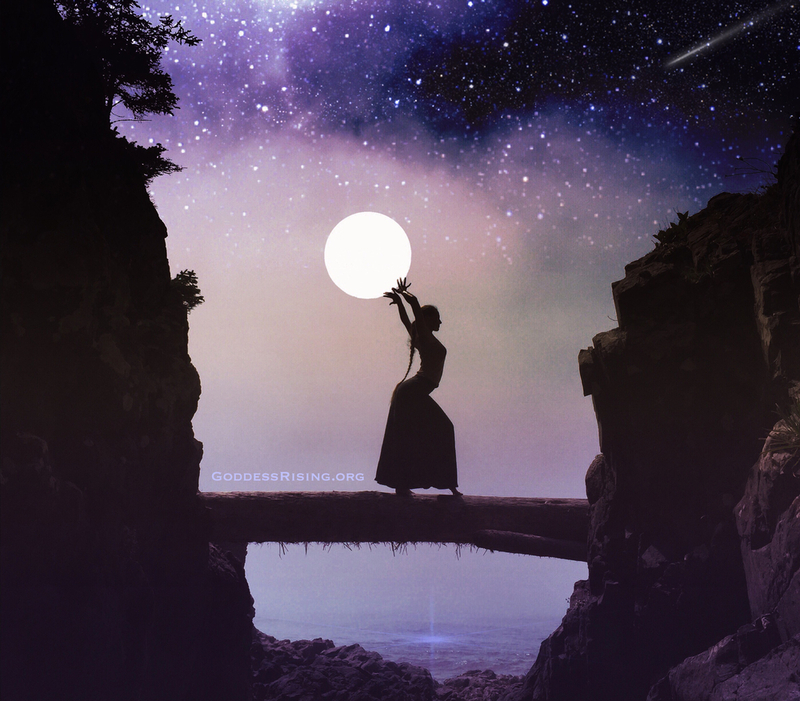 Meditate in the full moon light and open yourself receive intuitive guidance and support. Reclaim Self Sovereignty: In your journal, write down out all the ways that you are currently blaming outside circumstances or people for your own discomfort or unhappiness. Take personal accountability by writing down all the choices, attitudes and actions (including non-action) that are keeping you from living your full potential. Write down all that you are ready to release and all that you are calling forth for your present life to move forward aligned to your heart desires and to get your own needs met. Commit to two action steps to make this real for yourself. Now then, get to it. Welcome to Self Sovereignty. Speak In First Person: Practice speaking from your own personal experience, beginning with 'I', instead of saying 'you'. Example: Instead of saying, "When you went into the ocean, you could hear the whales," you would say, "When I went into the ocean, I could hear the whales." This draws energy back into yourself, creates more power in your speech and opens clarity in your body intelligence. Organize & Release To Beautify: Let go of physical objects that are not supporting your joy. Declutter. Clean. Organize your home space (in and out). This moving of energy supports clearing and cleansing on all levels and welcomes the full moon Light to activate you and your loved ones. Receive Full Moon Rituals to your Inbox. Lunar Love and Blessings to you! Make sure to add connect@goddessrising.org to your email contact list so the Full Moon Rituals won't end up in your junk folders! Posted on March 12, 2017 by Goddess Rising.